Lemon is very rich in terms of vitamin C and thus it has antioxidant properties. In this study, the effects of lemon juice on cellular development in yeasts and protein expression have been examined. Seven groups were created in this study: 1: Control group; 2: K2Cr2O7 group; 3: 5 mM K2Cr2O7+ lemon juice (LJ) group; 4: 10 mM K2Cr2O7+ LJ group; 5: 15 mM K2Cr2O7+ LJ group; 6: 20 mM K2Cr2O7+ LJ group; 7: 25 mM K2Cr2O7+ LJ group. After sterilization, fruit juice (15%) and K2Cr2O7were added different concentration to Saccharomyces cerevisiae (S. cerevisiae) cultures and the cultures were developed at 30°C for 1h, 3h, 5h and 24 hours (overnight). S. cerevisiae cell growth was analysed by spectrophotometer, total protein alterations was identified by SDS-PAGE electrophoresis and measured with biuret method. 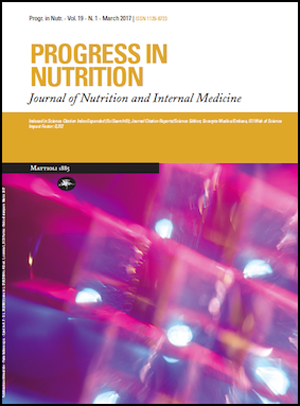 As a results: cell growth and protein expression amount increased in LJ groups to which LJ was taken in comparison to the positive control (K2Cr2O7) group at different growing times (1, 3, 5 and 24 hours) (p<0,05). These results indicated LJ has a protective effect for reduce the oxidative damage and raised cell growing and encourage protein synthesis in S. cerevisiae culture.